While shopping at an outdoor market, young reporter Tintin (Jamie Bell), accompanied by his faithful dog, Snowy, buys a model of an old ship called the Unicorn. A shady character named Sakharine (Daniel Craig) and later an American named Barnaby (Joe Starr) try to buy the model from him, but Tintin refuses. 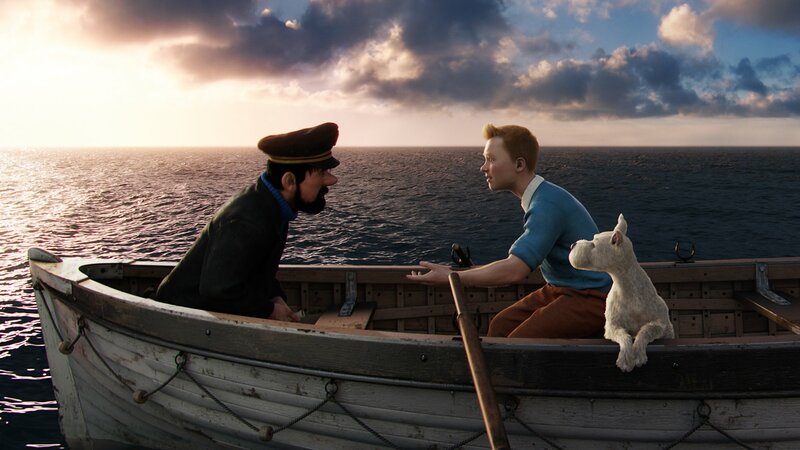 The lad discovers that the ship contains a clue about a hidden treasure, but before he can locate it, Tintin is kidnapped and given over to the custody of drunken Capt. Haddock (Andy Serkis).